The range of Garnier Fructis Shampoo products offered by us are fabricated using high quality material under perfect hygienic conditions. These are available to the clients at reasonable prices as per the needs of our esteemed clients. Our reputed entity is engaged in supplying Garnier Shampoo. 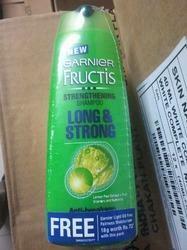 Garnier Fructis Fall Fight Anti-hairfall shampoo strengthens hair from the roots due to breakage. Wash after wash, this formula with active fruit concentrate and protective ceramides, provides every level of the hair with fortifying actives that help strengthen the hair from within to resist hairfall. Our color-protecting formula, blooms with a vibrant fragrance of argan oil and cranberry, bringing to life our wholesome care that protects color & enhances radiance. 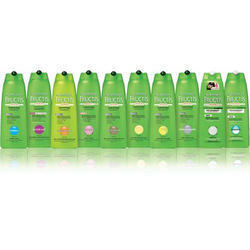 Garnier fructis anti dandruff fortifying shampoo ..